In large bowl, combine all ingredients except dressing. 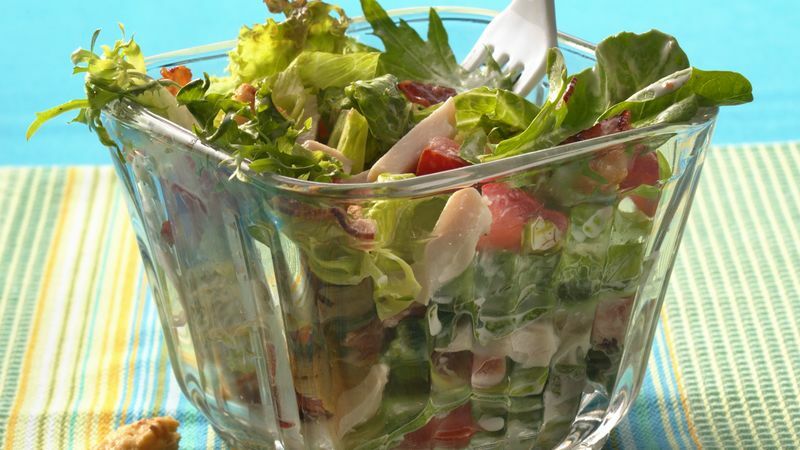 If you have the 10-ounce bags of salad greens on hand, use them instead of shredding head lettuce. The lettuce in about 1 1/2 bags is equal to 8 cups of shredded greens.